Ubisoft have recently announced that Watch Dogs 2 is coming. Centred around the protagonist, Marcus Holloway, a ‘brilliant, young hacker’ who joins a rather rebellious group of miscreants in order to bring powerful organisations down to earth. The theme of an omnipresent digital system has returned, via ctOS, the operating system from the original Watch Dogs. Here, it’s down to you and your new-found friends to level the digital playing field and stop large corporations from exploiting the system in order to remove our freedom. 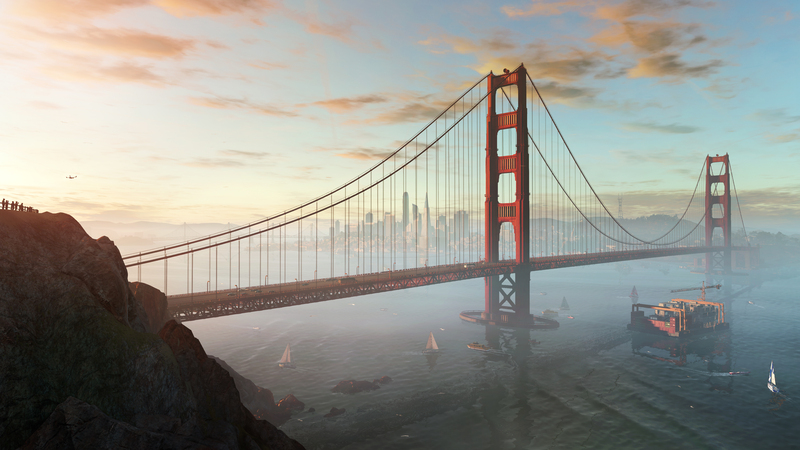 Jonathan Morin, WD2 Creative Director said: “We want to offer a vibrant and authentic world and the San Francisco Bay Area was an exciting location for us. We knew it would bring us somewhere interesting in terms of culture and tone ultimately keeping things fresh. And within this world, we want players to feel like hackers who are hacking the game to win: manipulating people for their own benefits, turning factions against each other, disrupting traffic with great control or do entire missions without even moving by just hacking remotely. Much like the previous installment, Watch Dogs 2 will be an open world experience. The Division proved to be a great title. Hopefully WD2 won’t simply be an edited and altered version. Hopefully, it’ll be fresh and interesting. Only time will tell if that’s the case. Watch Dogs 2 is due for release on November 15 on Xbox One, PlayStation 4 and PC. Next Post DOOM: It’s bloody good fun! Previous Post Homefront Revolution: A varied alternative?